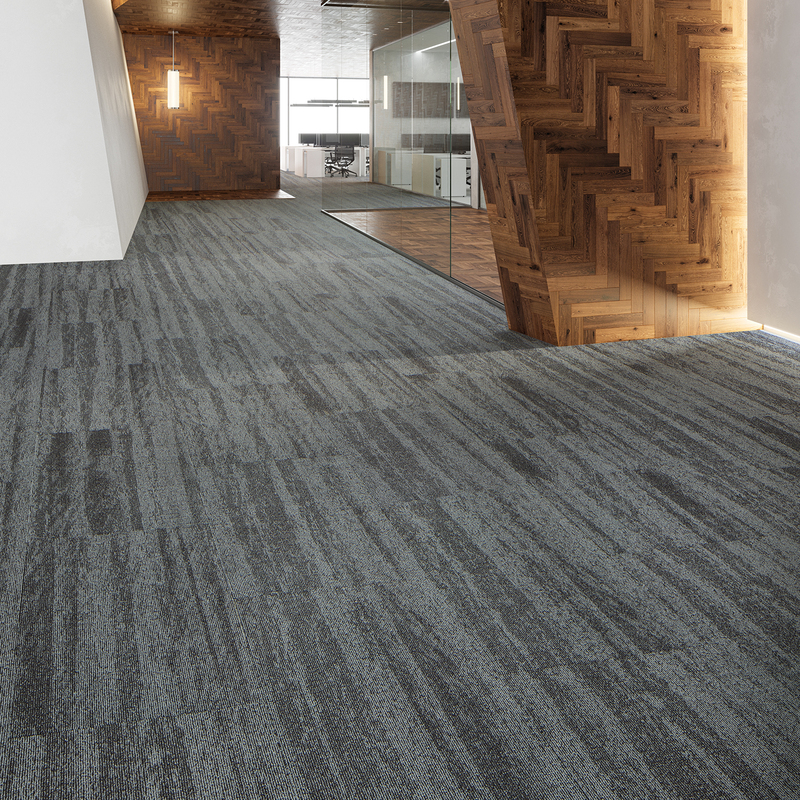 Created in collaboration with HOK Product Design, the Paper collection offers soft, elegant patterns in a versatile 18" x 36" modular plank. The collection was inspired by design interactions with paper: crumpling, creasing, crimping, tearing and folding formed an iterative basis for the design team's abstract experimentation with pattern. The palette of warm and cool neutrals, along with accents of saturated green and blue, add to the delicate visual story and allow the Paper collection to work well with many workplace interior styles.